Writing The Longest Nine Months took a LOT of motivation, patience and brawling with discouragement tossed in with some existential questioning regarding my story. I knew that I wanted to explore the theme of abortion but that was it. Then the notion of conflict between Campbell, my main character, and her husband Chand began to flutter in my mind. And so the couple conflict took shape but it still wasn’t all that I wanted to write about. romance was my vehicle to get to where I wanted to go even though I hadn’t a clue where that was. Slowly, as I continued to write, the abortion subject turned into one of disabilities and Down syndrome. I began to read on it and listened to interviews and one thing linked to another, as things have a habit of doing, which led me to Riva Lehrer, the marvellously amazing Chicago based artist. A lot of what I do in my work is – almost of all of what I do – is deal with what it means to be looked at. What it means to be in a stigmatized body. For an inspiring glimpse of Riva Lehrer listen to Mary Hynes interview Ms. Lehrer. Instead of seeing impairments, Lehrer sees bodies that are – in her words – unexpected, charming, exciting. What would you do if you knew that you were carrying a child with a disability? This entry was posted in Getting To Mr. 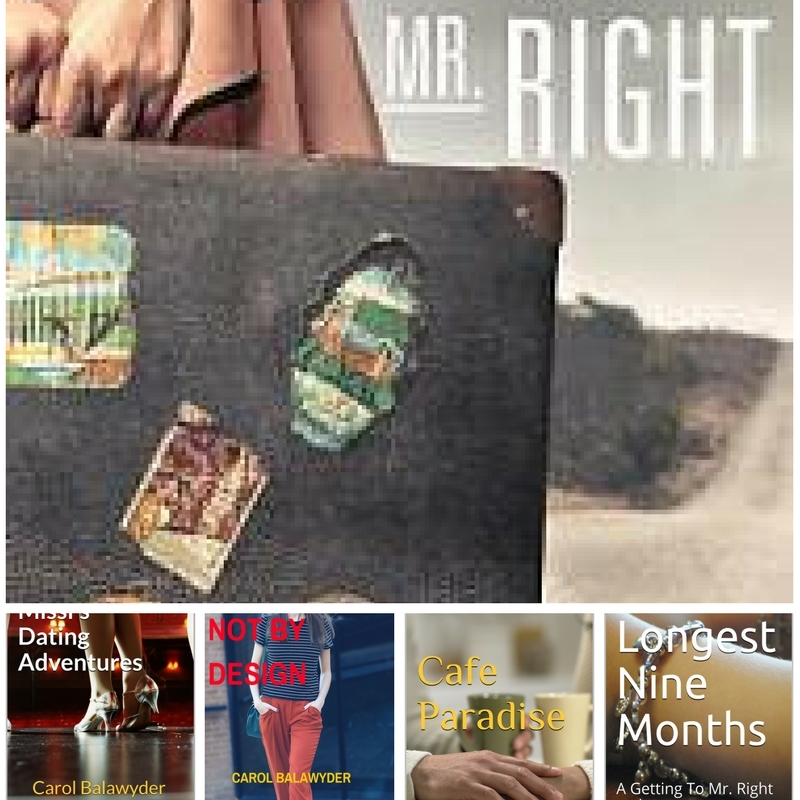 Right, The Longest Nine Months, Women's Fiction and tagged abortion, down syndrome, Mary Hynes Tapestry, Physical disabilities, pregnancy, Riva Lehrer. Bookmark the permalink. so true and beautiful words…indeed!! Talk about timing–I was just heading up to my treadmill for a walk and a read. The book? The Longest Nine months! So it was funny to see this post in my inbox right now. I’m halfway through the book and will probably finish it tonight. I’m really liking it, as I have all your novels. Just finished it. Such easy, fluid reading but with depth too. I’m sorry that’s the last in the series. I really enjoyed it! I’m so happy to hear this. 🙂 Happy Thanksgiving to you and your family! Tough questions about what would I do. It’s a huge question for society to ponder. So many factor weigh in. You were brave to take on that dilemma in your book. Thanks for saying that, Anneli. Your kindness warms me. I don’t consider myself brave though. The parents who raise these children are the brave ones! Such a tough question, but one those in childbearing issues should consider. I’m really looking forward to reading this, Carol. It’s an excellent read which keeps the reader guessing (as well as the reader.) I kept rooting for the positive throughout. Way back in the dark ages when I gave birth, we hadn’t a clue whether the child was a boy or girl, and even if I did know my baby had a defect, my faith wouldn’t allow me to abort it. Jeremiah 1:5 and Psalm 139. Funny you ask that question. My husband and I disagreed on this topic. Never had to see what happened but I could never abort a child based on some subjective decision that s/he’s imperfect. Just wouldn’t happen. I’m off to Amazon to buy the book, Carol! OK, silly me. I already own it (thank you, Amazon!). I just bumped it up the TBR pile! Seeing that I’m disabled, myself, you would probably think my decision about this would be an easy one but it isn’t. It would depend on the type of disability the child would have and what helps were available to cope with it. This might sound cruel but living with disability can be pure torture. Thank you, Robin, for your warm-hearted words. How sad for your friend to have gone through such a terrifying and horrific experience. And how lucky she was to have you by her side. Your stories are always so touching and beautiful! ❤ It's really the extraordinary situations that bond us. BTW, I disagree, Robin, with what you said about all of us reaching out to support those in terrifying situations,. A lot of people run away. Those that stick around are the heroes we read about and love in the books we read. They're everywhere in literature but in real life it's a different story. Carol, I loved your book and was hooked by the story of Campbell’s and Chand’s wildly opposing view as to her pregnancy and the ensuing conflict and drama. It is interesting to learn about the inspiration for this story and fascinating to read about Riva Lehrer. Obviously it is every woman’s choice what to do in such a situation; when pregnant I was offered the amniocentesis test which I (& my husband) refused…whatever the result of the test I wouldn’t have ended the pregnancy so it seemed pointless to me. Thanks, Annika for you super kind words. It’s interesting what you said about refusing the amniocentesis. In the case of being pregnant with a Down syndrome child about 90% abort. Wow….I am behind!! I need to read all your books. I am a former special education teacher and am looking forward to the latest especially. I was also an assistant director of a crisis pregnancy center at one time as well. It sounds as though these books are perfect, as we all are through Christ! Thanks for introducing us to Riva Lehrer and her work. Although I’ve never had to make such decision it is something that we all, individually as well as a society, must think about. Concepts such as beauty and worth are so arbitrary and random that is bizarre we live by them. A very important topic and I wish you the best with your book. This is a tough one – I would want to know that the child growing within me is going to be able to have a happy life but then we can never know that for sure… regardless of the illness of the child.. Your book intrigues me, Carol!